Home Solar Power: is it right for you? Can you save money by installing a solar energy system? The National Renewable Energy Laboratory (NREL) has researched solar energy. Try the NREL PV Watts Calculator to estimate the costs involved. You can find it at pvwatts.nrel.gov. The NREL website also provides solar maps which provide average daily total solar availability for different parts of the country and different months of the year. You can view the NREL website at www.nrel.gov/gis/solar.html. 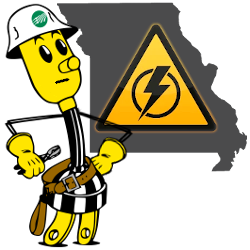 Any home solar power system installed at a location receiving power from HOEC's electrical system must have certain protective equipment in place to protect you (the home owner) and the service linemen of Howell-Oregon Electric Cooperative against the danger of injury or death. Also required is a completed and approved Co-Generation agreement before installation begins. Please view the Co-Generation page on this website for more details.